Road building myths and misconceptions do not stand up to close scrutiny according to the Royal Automobile Club Foundation which is today publishing ‘Myths and exaggerations about roads and road building in Great Britain*’ (7). According to the report, strongly held views on road development have been coloured by personal experiences, popular beliefs, comment in the media and propaganda rather than facts. 1. New road capacity does NOT simply fill up with traffic. It creates benefits. New road capacity will generally reduce congestion and travel costs. Additional traffic may occur on the new route as less suitable roads are relieved from congestion. Some entirely new traffic may result, but this is not necessarily negative, as users will benefit from easier access and journeys. Adding new roads on their own will not lead to extra traffic generation if the right land use policies and pricing regimes are in place. When new road capacity is created there may be more traffic than before, but there are good reasons for this. New capacity does not simply ‘fill up’. 2. Building roads will NOT have a significant effect on climate change so long as wider policy measures are introduced alongside road development. Road building on its own can slightly increase carbon dioxide emissions, but it could also reduce emissions by up to 10% if introduced alongside road pricing. Ultimately the impact of road building on emissions will be dependent on local circumstances. Some new roads can in fact reduce greenhouse gases by reducing congestion. New vehicle and road transport technology will have a vital role in reducing future emissions. 3. Traffic pollution is NOT getting worse. Vehicle technology has reduced traffic pollution significantly. Although these improvements have been partially offset by increased traffic, emissions from all major types of pollutant have reduced by one third since the 1970s due to tightening standards and the scrapping of older vehicles. 4. Roads do NOT occupy large areas of land. Roads occupy less than 2% of the surface of Great Britain and most roads are local streets and lanes. The motorways and trunk roads in England carry 32% of all traffic whilst taking up a very small surface area. 5. Roads are EFFICIENT users of space in comparison to the railways. Road carry almost five times more passenger traffic than the railways and only take up 50% more land. 6. Britain is NOT unusual in relying on roads. Britain relies on roads to a similar extent to its European neighbours, but the UK has the lowest level of motorways and main roads relative to its population. This illustrates that road space increases do not necessarily equal more road use. 7. Building roads WILL benefit low-income groups as all income groups rely on roads for over 92% of their travel. Cars dominate as a mode of transport for all income groups, as they are used for 70% of all the distance travelled. Better off travellers currently make the most use of the railways. 8. The construction industry CAN accommodate a substantial increase in road building. Of the one hundred billion pound construction activity in Britain less than two percent was allocated to road building in 2006. The construction industry still has the capacity to deliver at the much higher level of road building achieved in the 1980s and 1990s. 9. Road traffic DOES pay its way. 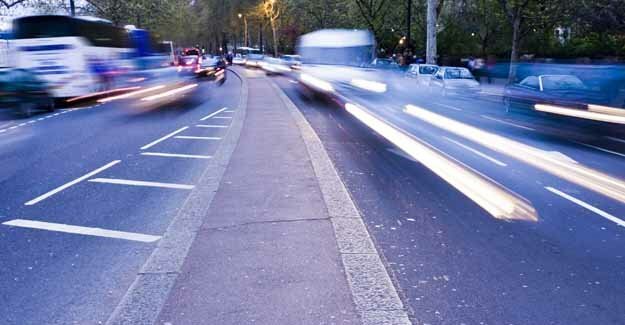 Road users pay forty-five billion pounds a year in motoring related taxes. This dwarfs the cost of running the road network, which takes little more than ten billions pounds every year. Even if road users were put in a unique position of needing to pay all of their external costs (e.g. pollution, congestion, road traffic accidents etc) current charges are too high. 10. Building new roads is NOT too costly. Road building is affordable if there are good economic reasons behind developing a route. In many cases where roads have been built, the benefits of road development vastly outweigh the costs. 11. Public transport is NOT a ready alternative to the private car. Public transport currently accounts for thirteen percent of all personal travel. This will increase on certain routes, but the car will remain the main form of transport overall. This is because railways serve very distinct markets, and have little room for additional passengers and bus services cover no more than 23% of the road network and are generally slower than journeys by car. Stephen Glaister, Director of the RAC Foundation says, ‘Common perceptions about road building are too often wide of the mark. This is simply revealed by checking the facts. Road building if well designed can be a cost effective way of improving mobility for all, without having a material effect on climate change’. * The RAC Foundation’s paper ‘Myths and exaggerations about roads and road building in Great Britain’ was prepared for the RAC Foundation by David Bayliss OBE. The paper will be available on the Foundation’s website on Friday 7th November 2008 to download. An executive summary of the report will also be available. Please contact the Foundation if you would like an embargoed copy of the reports.